The second edition of this bestselling book is designed to help human resource managers and professionals understand, develop, manage and map competencies within their organizations. -	Effectively managing the consequent changes in the organization. In this edition, the author has expanded several chapters to provide a greater understanding of business strategies, environmental imperatives and the changing role of HR as a strategic partner. 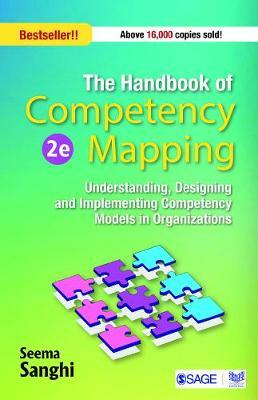 The book includes more case studies, live examples and models offering invaluable insight to users in order to develop customized models of competency mapping for their organizations. The second edition ot this best selling book is designed to help human resource managers and professionals under-stand, develop, manage and map competencies with their organizations. This user-friendly book focuses on key issues. In this edition, the author has expanded several chapters to provide a greater understanding of business strategies, environmental imperatives and the changing role of HR as a strategic partner.